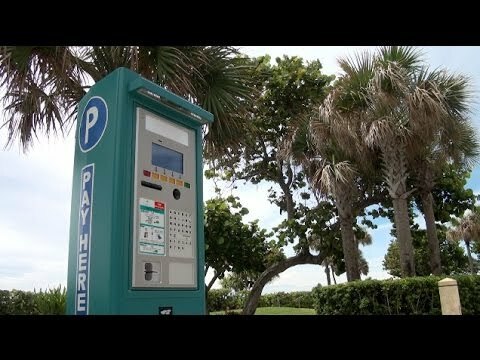 The PPA confirmed it’s actively looking into “pay-by-plate” kiosks. May. 31, 2018, 8:30 a.m.
Could you recite your license plate number off the top of your head? Like, right now? The next iteration of Philadelphia Parking Authority meters might require you do just that. Spokesperson Marty O’Rourke confirmed to Billy Penn that the PPA is exploring implementing new parking kiosks, which would require drivers enter their license plate numbers to pay for parking. The idea — dubbed pay-by-plate parking — is in its early stages in Philly. So far, O’Rourke said the plan is to submit a request for proposal to potential vendors who would respond with ideas for the design and implementation of the kiosks. He expects the PPA will submit that RFP this summer. Then, it’ll be another 30 to 60 days of waiting for responses to come in. And then, the PPA will spend some more time organizing “meetings, discussions, negotiations” and ultimately selection of a vendor. Philly isn’t the first city to consider the idea, and wouldn’t be the first to implement it. In cities and towns across the country, pay-by-plate systems have been introduced because they come with lower installation and maintenance costs and prevent drivers from taking advantage of meters with time remaining. They’ve also been shown to lower the number of of disputed tickets, and increase the use parking spots get overall. In Pennsylvania, Pittsburgh started using license plate numbers to pay for street spots back in 2012, and New Hope got going with it earlier this year. Across the river, folks in Colllingswood, New Jersey also have the option to pay using their plates. “Deerfield Beach is stepping into the 21st century,” claims a man at the start of the instructional video, which was uploaded in 2014. Will Philly follow suit? Stay tuned.